The purpose of the BTU SmartHOME program is to incentivize customers to invest in energy efficiency improvements for their homes, focusing on those that strengthen the building envelope, thus improving the home’s ability to avoid heat loss or gain. Projects must have been completed within the current fiscal year, October 1 through September 30 of each year. The home must have electric central heat and air conditioning. BTU reserves the right to physically inspect, pre- or post-completion, to ensure that the project meets the program guidelines. What if I don’t have any pictures before the work was completed? BTU understands that some customers may not be made aware of the program until after their project is complete. While having before pictures is preferred, BTU will make exceptions on a case by case basis. 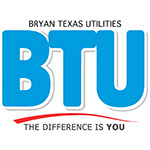 Please contact the SmartHOME program administrator at smarthome@btutilities.com or 979-821-5859 to discuss your situation. How do you calculate incentive payments? Payments are calculated based on a pre-determine average kilowatt (kW) savings for each measure as recommended by the Public Utility Commission of Texas in Project No. 22241. Each qualifying project is guaranteed ten percent (10%) up to a max of twenty-five percent (25%) of their total project cost based on the calculated incentive. How are incentives paid out? Incentives are paid via a one-time check mailed to the mailing address provided on the application. This program does not provide a recurring credit on your bill or any other recurring incentives. Incentive checks for qualifying projects are usually received by the customer within three to four weeks of receipt of all application materials. Can I install my own measure? Yes, if you elect to install your own improvement, you will need to include the receipts for the costs of the materials to calculate your incentive payment. What are the specific qualifications for installing attic or exterior wall insulation? Insulation effectiveness is measured in units of R-values, which are measurements of resistance to conductive heat flow or thermal resistance. The recommended minimum value for attic insulation for our area according to the Department of Energy is an R-30. The recommended minimum value for exterior wall insulation is an R-13. Existing attic insulation must not be more than R-22, and must be raised to an R-30 or greater. 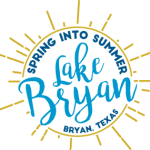 Only areas that are adjacent to electric heat and air conditioned areas will qualify (insulating garages, or other non-air conditioned areas does not qualify). Exterior walls must not have any existing insulation and must be raised to an R-13 or greater. Only areas that are adjacent to electric heat and air conditioned areas will qualify (insulating garages, or other non-air conditioned areas does not qualify). What are the specific qualifications for installing Energy Star® windows? Windows must be Energy Star® certified for our area of Texas or you can purchase windows that are certified for all 50 states. Windows will have stickers or paperwork that depict a map to signify which areas the windows are certified for (see examples below). Only areas that are controlled by electric heat and air conditioning will qualify (porches and non-air conditioning spaces do not qualify). What are the specific qualifications for installing solar screens? Solar screens must block at least 65% of the solar heat gain, and must be installed on windows facing predominately east or west. The screens must also be installed on an area of the home controlled with electric air conditioning; porches and non-air conditioned spaces do not qualify. Do I have to replace all of windows, solar screens, or install all of my insulation at one time? No, BTU understands the necessity for convenience or financial purposes to break the project up into groups over time. Separate applications, pictures, and invoices must be submitted for each individual project to qualify.